← Counselling in Wokingham – Waiting…. 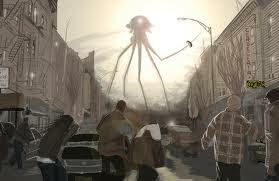 The idea of aliens invading our planet has been much used in books and in the movies. 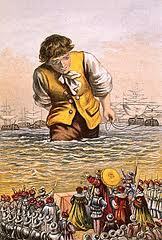 H.G.Wells’ classic “War of the Worlds” was written as long ago as 1898 but I suppose the idea goes back even further to that – to “Gulliver’s Travels”, perhaps, in 1727, with Gulliver as the alien invader. The idea endures, I think, because it connects so strongly with something that is essential to us as humans, which is about personal safety and security. We need a solid base in our lives, somewhere we can retreat to when the going is tough, and it seems to me that we have different layers of safety, like the layers of an onion, wrapped around a core. When things are good for us, we will feel secure in all areas of our life – home, family, friends, work, hobbies, and so on. But sometimes one or more of these areas will become difficult – maybe we are overloaded at work, perhaps your relationship is going through a rough patch or a close friend moves away. These things are normal and happen to everyone from time to time, and we tend to cope by turning towards those areas of our life that feel more secure. In “The Day of the Triffids”, humans retreat to the triffid-free environment of the Isle of Wight, if I recall correctly. The trouble really comes when we start to feel unhappy or insecure on a number of fronts – when the aliens are threatening to take over the whole earth, and there’s nowhere safe to retreat to. Then we will tend to withdraw into ourselves, because that feels like the only safe place – and maybe we take refuge in computer games, or drinking, or turning the lights on and off 167 times, or some other form of activity. 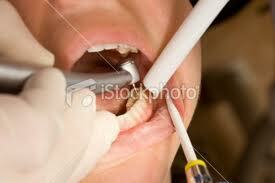 I felt invaded myself this week, on a visit to the dental hygienist. It’s never a pleasant experience, and actually I would rather have a filling – but this particular hygienist seemed to lack any kind of empathy or sensitivity. He was in a great hurry, so if I needed to pause things, he couldn’t wait to invade my mouth again, and I had the feeling that he had no sense that my teeth belonged to a human being – that he felt he had a right to do what he wanted in my mouth, whereas I would have liked to feel that he was a guest there – and a polite one. The boundaries were all wrong – and mid way through the treatment I stopped it and left – I repelled the alien invasion. We can feel invaded in different ways. In my work with couples I have come across a pattern in the way some couples communicate, which works like this. Partner A is better than partner B at expressing themselves – their needs, their feelings – and deals with these things in an analytical and practical manner. Partner B finds it more difficult to articulate their feelings and A tries to help them by asking questions and proposing solutions – in the way that works very well for them. Unfortunately this style doesn’t work for B, who feels pressured by the questions and can become self-critical about their inability to answer and think in straight lines as A can do so effectively – they can start to feel that A is trying to invade them – to get into their head and change their personality. And so B tends retreat – to evade the questions, or shut down, or become angry to avoid the situation. And A becomes frustrated by this, and questions B more, or starts to think B is hiding something, or becomes angry themselves. There are times when – as with my experience at the dentist – on feeling invaded we can protect ourselves by making the boundaries clear and repelling the invader – and the earlier we can do this, the easier it is for both parties. In my example of the couple, A often doesn’t realise how B feels – and nor, really does B – until communications have broken down and both partners are feeling hurt. That’s where I often come in, I think – to help them see the patterns, and to say sorry, and to find different ways of communicating which work for both A and B – that don’t involve an alien invasion. This entry was posted in Looking After Yourself, Relationships and tagged alcohol, communication, confusion, counselling, couple, emotions, feelings, Invasion, needs, partner, patterns, power, relationship, safety, security. Bookmark the permalink.